Earlier this month I wrote about the problem of domestic hunger in the U.S. Today I am writing about the problem of hunger in the poorer countries of the world and about combatting that serious and ongoing problem. For a long time I have been a supporter of the organization known as Food for the Hungry. FH was founded in 1971 and has for many years been an international organization. FH/Japan was formed in 1981, and for many years Eisuke Kanda was the head of it. Last month I was in Cambodia and spent some time with Hwang Ban-suk, a Korean missionary who is partially supported by, and thus who works with, Korea Food for the Hungry International. I was also impressed by Troeun Nhao, the Cambodian man who works with Hwang and KFHI. In response to the chronic hunger problem in Cambodia, especially in the rural areas, Hwang literally and directly supplies food for the hungry. He takes bread to malnourished children several times a week. Mrs. Hwang is a volunteer kindergarten teacher in a small school on the outskirts of Siem Reap, the city where Angkor Wat attracts hundreds of thousands of tourists yearly. I was told there are some 600 hotels and “guest houses” in Siem Reap. Numerous Western and East Asian restaurants line the main roads through the city. But just a few miles out of town, most people live in poverty. For some families, their yearly income is no more than a party of four spends for one dinner at one of the Japanese or Korean restaurants in town. On my first full day in Siem Reap, I helped distribute food at the school where Mrs. Hwang teaches, handing out bread to the children who lined up and thankfully received what we gave them. For a long time, though, I have thought that even more than helping those who are hungry now, attention needs to be given to dealing with the causes of hunger. Of course the former needs to be done. But only helping with the present problem of hunger is never enough. Whether domestically or overseas, it is more important to work toward decreasing hunger in the future than to simply give food to hungry people in the present. That is a problem with most local food distribution groups. To be sure, they do a good and important work in helping needy people now. But usually they do nothing to help solve the underlying causes of the hunger problem. Part of the needed change in Cambodia is in the mind-set of the people. This seems quite clear from reading Joel Brinkley’s book “Cambodia’s Curse: The Modern History of a Troubled Land” (2011). That is why I am glad to support the work of Food for the Hungry, a Christian organization, and the work of Missionary Hwang, now partly centered in New Hope Church, which I wrote about earlier. 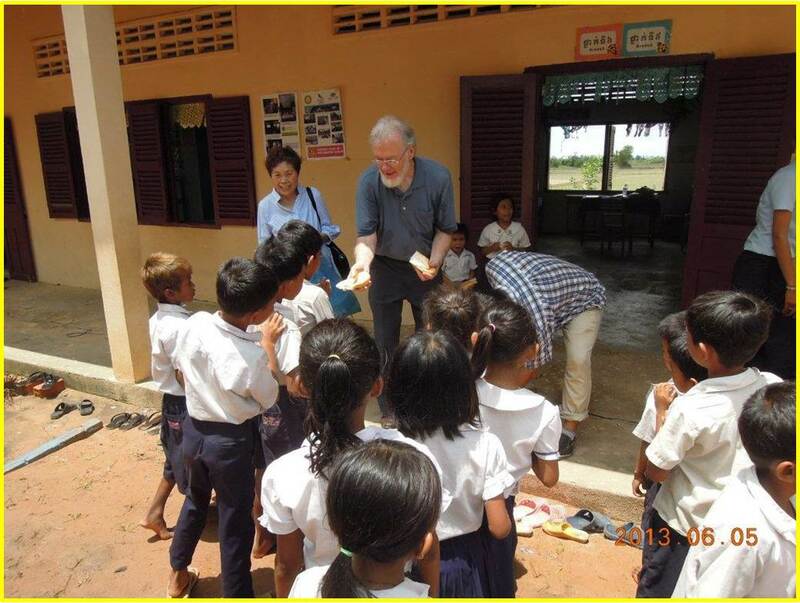 This entry was posted in Regular Post and tagged Cambodia, Food for the Hungry, hunger. Bookmark the permalink.